Ronnie O’Sullivan matched the snooker records of Steve Davis and Stephen Hendry, hitting 18-triple crown titles, by beating 2008 UK champion Shaun Murphy 10-5, on a memorable night in York. 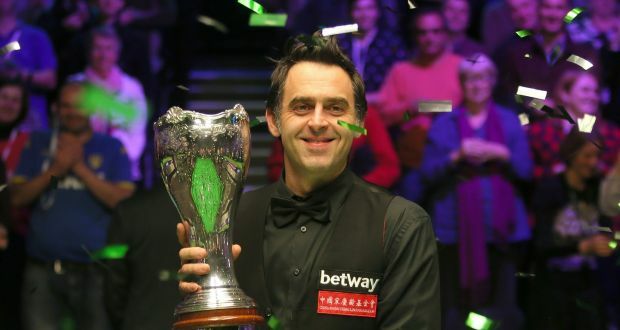 O’Sullivan landed his sixth Betway UK Championship title on Sunday, matching the tournament record set by Davis in the 1980s. The achievement also moved O’Sullivan level with Hendry’s never-beaten haul of 18 titles at the sport’s Triple Crown majors, the series made up of the UK Championship, World Championship and Masters. A 19th major could be on the cards at the Masters next month, and the retired Hendry has tipped Ronnie O’Sullivan to push on and become the most successful player the sport has ever seen. Ronnie is just five titles short of the record for the most ranking titles, which currently still belongs to Hendry, but his tally of 36 is being chased down by O’Sullivan, who has added 3 in the last 2 months. O’Sullivan said of his latest big-stage victory: “The records are great. I tried my best all week and there’s nothing left. “I’m over the moon to win any tournament, let alone the UK Championship. “I just love playing and love competing and I can’t believe I’m still playing at 42, with all these grey hairs.